Since the current Board of the NLAS is also its first formal Board and there is an AGM coming up in November where many of these people will be replaced, we thought it would be interesting to get each board member to answer a series of questions about themselves and their role with the NLAS. Over the next few weeks we will post each board members response to those questions. Up next is Chelsee Arbour. She is the Secretary of the Executive Committee, member of the Communications Committee, the Finance Committee and the Events Committee. Somewhere in there she also finds time to write her Ph.D! I became interested in Archaeology very early on. Growing up just outside of Montreal, I often spent the summer at our family cottage in the Laurentians. It was in the forests and along the riverbanks only accessible by canoe that I first came across traces of past peoples – beautiful projectile points that likely had been eroded from their original context. I was fascinated with them; I wanted to know everything there was to know about how they got there, who put them there, whether the different coloured materials meant different things, whether different shapes meant different activities. Over time, I forgot my interest and as high school came around, turned my attentions elsewhere. It was not until I applied to University (on a dare) that I rediscovered archaeology. After the complete and utter panic that followed my acceptance (I shouldn’t have applied! I shouldn’t have gotten in! What do I take!?! ), I found that the University offered a major in Anthropology with a concentration in Archaeology and I have been hooked ever since. Chelsee working at Kamestastin Lake. What sort of things do you do as the chair/member of the Executive Committee? I am the secretary of the executive committee of the NLAS. My responsibilities in this role mainly involve recording the minutes at the AGM, the board and the executive committee meetings; distributing the minutes to the associated board prior to subsequent meetings; and voting on executive and board decisions. I also sit on a few committees such as the communications committee, the finance committee and more recently the events committee. In this capacity, I have contributed by managing the live feed at NLAS events, reviewing the documentation associated with charitable status and helping to organize the graduate application writing workshop. I have learned so much from these volunteer experiences, not only on what it means to be part of the management and maintenance of a society like the NLAS but also about law, technology, organizing social events and the impact that archaeology can have on peoples everyday lives. 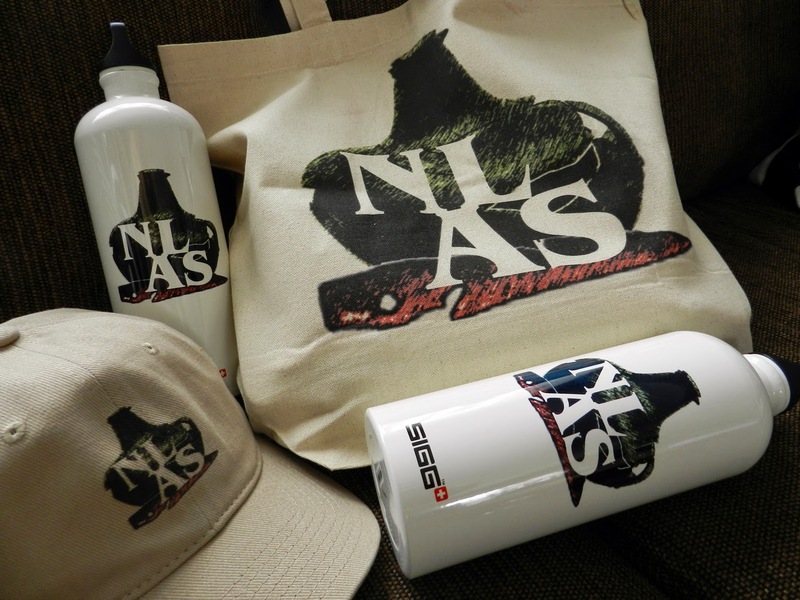 What made you want to get involved with the NLAS? I went to some of the very early meetings to see what the society was all about when the NLAS was first starting out two years ago. 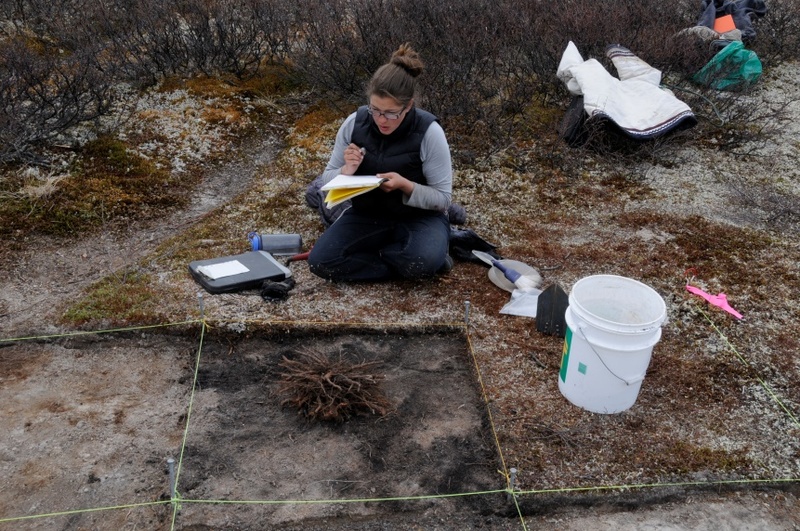 Having worked in the province for five years, I was interested to see how such a society could benefit both the archaeological community and the public at large. Over the course of these early meetings, it became quite clear that what I had originally thought the responsibilities to the membership and the public of such a society would be were well below the aspirations of the people I was working with. I was amazed at their enthusiasm, dedication and creativeness, and was inspired to join because of that collective energy. I think the best piece of advice I would tell my younger self is that ‘there is always more than one story that can be told about the past and more than one storyteller. Listen to as many as possible; some will change how you think, some will not, and some will deepen your own ideas’. 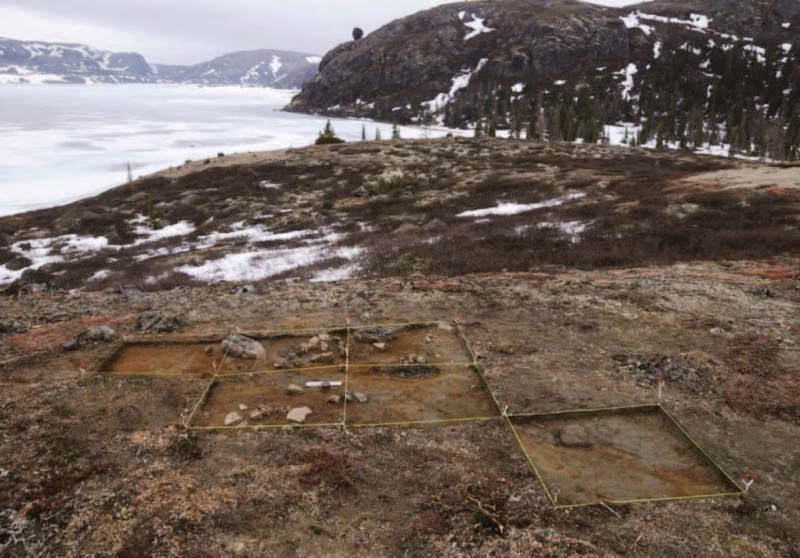 The Shak Selma Maritime Archaic site on Kamestastin Lake. The excavation of this site will be part of Chelsee’s Ph.D.